Please note: There is a 1 pm Raider game at Oakland Coliseum before this show. Public transportation is strongly encouraged. 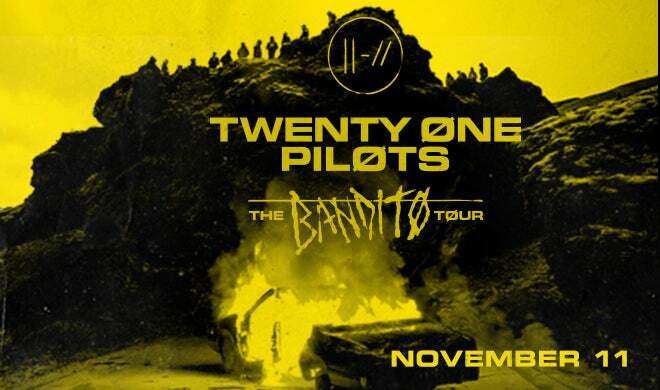 Twenty One Pilots, the critically acclaimed duo of Tyler Joseph and Josh Dun, will celebrate their highly anticipated studio album TRENCH with The Bandito Tour. 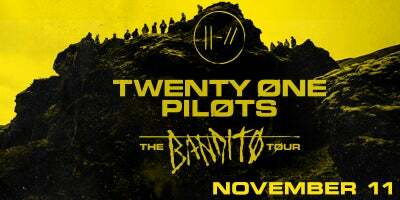 Registration for first access to tickets (via Verified Fan for North America) is now open and will run through 11:59PM ET on Sunday, July 15th. All remaining tickets will be released to the general public at 10:00 AM Friday, July 20th. Please note: This is a mobile only tour. All online, mobile, and phone sales will be restricted to mobile digital delivery only. Tickets will not be able to be purchased at the Oracle Arena Box Office.